Lol I couldn’t find a picture to which I could relate more than this one. This one goes out to all the bosses who don’t recognize, motivate or appreciate their employees (including mine). 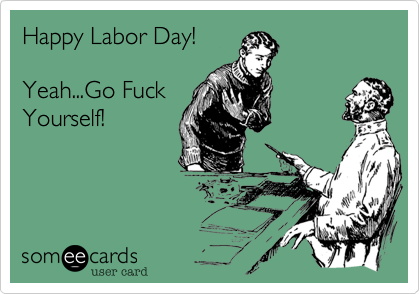 This entry was posted in Cultural and tagged Boss, F#ck yourself, Labor Day, May first on May 1, 2015 by R.B.T.T..